Oil is a color without ammonia with Argan oil and Goji berries. Is enriched with extracts of Chamomile and Mallow's sea oak: a mixture with emollient's antioxidants and stimulants that strengthens and protects the hair structure. The walnut and the Cassia Obovata ' natural dyes for hair ' revive the color from the inside making it brighter. The hair are bright and fed. 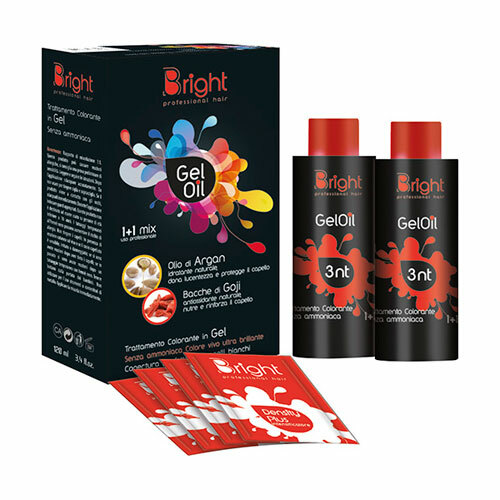 ammonia-free gel dye treatment combining various ingredients sought and incorporated in its formulation and the addition of DENSITY PLUS ' make the texture of a soft cream GEL OIL consisting of ' easy to apply without risk of dripping. 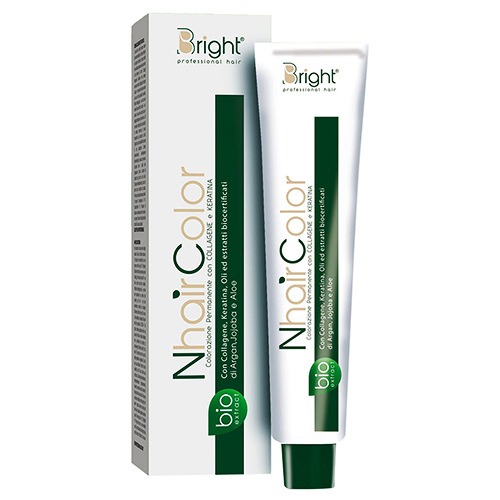 Treating dye GEL OIL protects ' revitalizes and covers white hair perfectly. directions for use: mix in a non-metallic Bowl 60 ml 60 ml of Activator GEL OIL with ACTIVE POWER and add the contents of the sachet DENSITIVEPLUS. Let stand 2-3 minutes the cream before applying. packaging: 2 vials kit 4 bustineDENSITY PLUS 120 ml and GEL OIL from 4 ml.